Rapide darts have been developed with the serious player in mind. Two barrel shapes are available, parallel and profile (front loaded), both offering ringed and knurled grip options. Each barrel has been precisely machined using the latest CNC technology and finished with striking red rings. 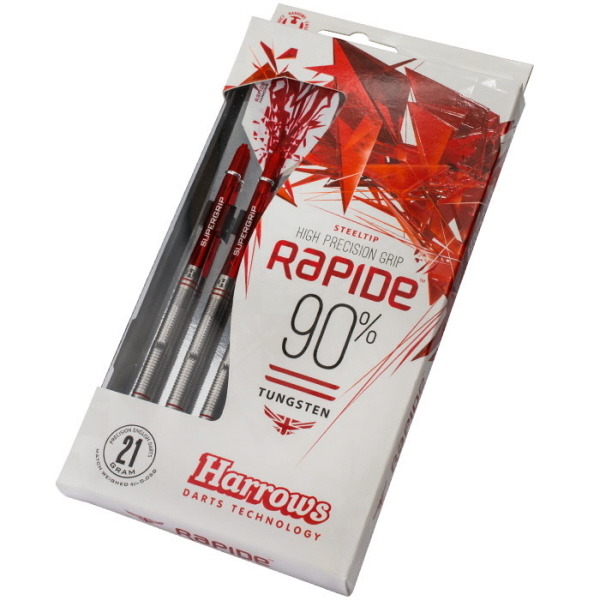 Rapide darts are match weighed to +/- 0.5 grams and fitted with red Supergrip shafts and new Rapide flights.